The Ihram that bacteria hate could be what all pilgrims will wear by 2030. Saudi entrepreneur Hamad Al-Yami’s nanotech-developed cloth could have far-reaching health implications. Nanotech Ihram Cloth: While perusing one of the many daily papers in Saudi Arabia, Hamad Al-Yami’s interest was piqued by a story about rugs. These weren’t any ordinary rugs. These were the carpets of the Grand Mosque in Makkah, the holiest site in Islam. A team of researchers at Umm Al-Qura University in the holy city were using nanotechnology to coat the surfaces of the large, flowery carpets used by millions of worshippers who come to the mosque. The use of silver as an anti-microbial agent goes back to antiquity and the researchers’ use of the element’s nanoparticles on the mats made it harder for bacteria to grow. Al-Yami was intrigued by the idea and set out to learn everything he could about the technology. Nanotech is the study and application of extremely small things — one nanometer is a billionth of a meter. Practitioners have realized a number of beneficial uses, including medicine, food and clothing. The confident Jazani’s journey would take him as far as Pakistan’s Punjab region and convince investors in and out of the country of his business venture. 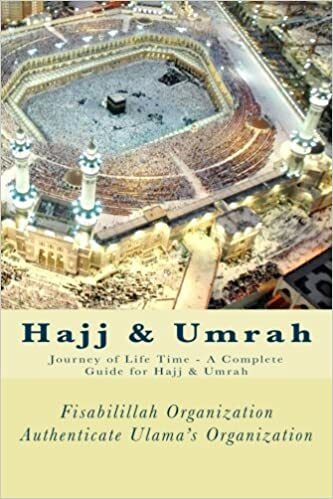 Thinking about what the researchers were doing, Al-Yami felt that if the technology could be used to keep the carpets bacteria-free, it would also be prudent to use it for the Ihram, the two cloths Muslims wear during pilgrimage. The implications for having an Ihram that is resistant to bacteria are huge. With millions coming to the Kingdom each year and performing the prescribed lesser pilgrimage, called Umrah, and the annual Hajj, maintaining a healthy environment for worshippers is a key consideration for authorities. “This is why the project is important,” Al-Yami said. And as pilgrims arrive from almost every continent on earth, ensuring their health has global consequences. The Saudi set out to find a maker for his product. Using social media, he met a Dubai-based German fashion designer, who produced his first pieces of cloth. “I had to explain that it was not just a normal towel, but what pilgrims wear,” recalled Al-Yami, and with that, he saw his idea come to life. The enterprising Saudi believed that it could be done more cheaply and researched alternatives. He arrived in Faisalabad, a bustling metropolis in Pakistan’s richest province. There he found a manufacturer who was able to produce the Ihram to the quality he wanted, and at a viable cost. Nanotech Ihram Cloth: Excited by this development, Al-Yami returned to the Kingdom and took his idea to Makkah Gov. Prince Khaled Al-Faisal, who found the idea interesting enough to send the Saudi to a research institute in the holy city. When the institute reported that the idea was useful, the governor directed the city’s chamber of commerce and the ministry of commerce to help the 35-year-old with his project. With thousands of the Ihrams manufactured, the entrepreneur began selling this new type of Ihram during the Hajj of 2017. Within a year of launching, he had sold 100,000 pieces, which he named Eliaa — the Hebrew name for Al-Aqsa mosque. Al-Yami’s marketing background certainly helped secure a SR750,000 ($199,939) investment from an intrigued businessman on a domestic flight, followed by a multimillion-dollar stake from a foreign investor. Saudi Vision 2030, the Kingdom’s strategy to diversify the economy, has helped entrepreneurs such as Al-Yami. He said he received great support from the ministries who have the platform he needs to raise awareness of his business. He talked fondly of Saudi Crown Prince Mohammed bin Salman, who is behind the reform drive in the country, and said he is close to us in age and understands us. Within three years he predicts five million of them will be wearing his technologically enhanced Ihram.